I happen to enjoy a column in AARP The Magazine, called DatabankUSA. And one of the charts there shows the percentage by state, of residents over the age of 5 who speak a language other than English at home. I was surprised that my birth-state, Idaho is 10.1%. But it was a diverse state when I was growing up with many Native Americans, mostly Northern Shoshoni, Bannock and some Crow and Blackfeet tribal members in the area where I lived, in the northeast corner framed by the Targees and the Tetons. But back then, Idaho also had a significant Basque population. From an early age when Basque’s would run sheep nearby, I would go out with my Grandfather visit around their campfires. In fact, my first couple of pet dogs came from these herders. It was fascinating to hear them speak, not to mention sit around campfires, with the strongest coffee known to human beings and real covered wagons. But the more I think about it, while virtually unpopulated in 1880, only a couple of decades before my Great-Great Grandfather helped colonize what became Fremont County, the area was also becoming home to significant numbers of British, Swiss, Scandinavian, Welsh, German and other nationalities. Don’t get me wrong, there are still only 12,000 people spread over more than 1,800 square miles, about 4% to 5% the population of Durham in a land area more than six times the size of Durham County. But adjoining states often don’t share population characteristics. I lived within 50 miles of both the Montana and Wyoming borders. And yet Montana is only 4.7% and Wyoming 6.6% in this attribute, half that of Idaho. North Carolina is 9.6% or nearly 1 in 10, while the first 13 or so states have 1 in 5 or more of their population speaking a language other than English in the home. But North Carolina is nearly double the five lowest states in this characteristic. Durham has nearly always been ethnically diverse. But an even more telling reflection of Durham’s diversity, in the public schools here, there are students representing 60 countries and 79 native languages. In the past couple of weeks, there have been two great examples that the “overarching Durham brand,” distilled a couple of years ago, continues to resonate far beyond the wildest expectations. Just as significant as the adoption by hundreds of organizations and businesses throughout Durham, were remarks by Jim Goodmon, owner of the Durham Bulls and the key developer of the American Tobacco Historic District, during an event marking the opening of the Durham Performing Arts Center. He incorporated a number of brand values (creative, entrepreneurial, etc. ), in his description of Durham. Knowing Jim, it is because those values truly resonate in his perception of his adopted community. Now comes a description in the January/February issue of North Carolina Signature Magazine, published by Bernie Mann out of Greensboro, that captures the essence of the brand as well. Again, Durham-specific values documented in the brand manual. The National Endowment for the Arts has just published a study providing benchmarks for non-profit theaters. Between 1990 and 2005, the number of non-profit theaters nationwide jumped 100% "to almost 2000. But attendance for musical theater is flat as a percentage of population and attendance at non-musical events, including plays, is down both in numbers and percentage of population. Overall theater attendance is down 16%. The drop isn’t due to ticket prices which, when increased by 20%, resulted in attendance going down only 2%. It appears more due to expanded in-home entertainment, declining arts education, and lower media coverage. Other studies also cite competition for leisure time in general. Nationwide, the supply or number of theaters is outstripping demand. The growth and management of theatrical organizations has not yet been matched by equally robust growth in audiences. Business contributors to non-profit theaters over the last 15 years are down 3.5%, while contributions from individuals is up 8.1% and foundations 2.8%. Government contributions are down 10.6%. Individuals make 40.2% of contributions to non-profit theaters, foundations 21.7%, businesses 17%, and government 15.7%. Non-profit theater earned income as a share of revenue is down 13% since 1990, and contributed income and other types of revenue grew proportionately to a more even mix. Analysis from other sources shows that attendance at touring Broadway at 15.3 million in 2007 has been declining slightly since 2004, but still higher than 2003. Broadway in New York at 10.4 million last year for musicals was slightly above the average of the last 5 years, while attendance at plays at 1.87 million was above the average, bucking the trend in the NEA study nationwide. Concert attendance, at 51 million last year was down more than 19%, but down just 5.3% on a per show basis. Who knows what was really behind the block Republican Senators from Southern states reportedly put on the bridge loan for American automobile manufacturers. But it drew to mind the continuing disparity, if not double standard, in economic development between the incentives prevalent for new or relocating businesses vs. preserving and growing existing business. A dichotomy for which leaders here in Durham are exploring a balance. Yes, it seems hypocritical if Senators from states that gave billions in incentives to draw foreign automobile manufacturers put the kibosh on a simple bridge loan to retain and grow domestic manufacturers. It doesn’t take a genius to see that if it works for one, it works for the other. And if it is so risky for one, why it is working so well for the other? It is also hypocritical if this was all about union vs. non-union at a time when we’re crying out as a nation for non-partisanship, at a time when we need to pull more than ever. Durham is a community that owes much of its heritage to tobacco in the days after the Civil War up to the late-80’s when American Tobacco closed. When I moved here in 1989, you could still smell the sweet aroma of tobacco curing at Liggett, the one remaining factory that closed many years ago (smells like newly mown hay). Today, the old brick warehouses are reborn as shops, restaurants, offices, condos, and apartments. The CDC, pouring over City and County data, finds that the Durham, NC MSA, a four-county area with Durham at its core, is the 5th most smoke-free MSA in the nation as published by US News & World Report. Durham is more smoke-free than the Salt Lake City, UT MSA, even though it is home to The Church of Jesus Christ of Latter-Day Saints and a large of portion of the population is predisposed by faith not to smoke. Durham is more smoke-free than Raleigh-Cary, where some residents delight in putting Durham down to North Carolina newcomers as a tobacco town. And it isn’t just a New South thing, 8 of the 10 smokiest MSA’s are in the south, three in North Carolina led by the Greensboro, NC MSA at 4th smokiest. Durham doesn’t run from its past, but it definitely is leading most communities into the future with an economy now based on healthcare, education, research, pharma-manufacturing, and biotech. People have widely adapted it as “Success has a Thousand Fathers.” The quote has come to mind several times recently during the various opening festivities around the spectacular new Durham Performing Arts Center. But there are five people who aren’t saying much, and each of them had to say yes at various critical milestones for the project to happen. The person who deserves credit for the idea of the theater is the late Senator Terry Sanford, also former Governor and President of Duke University. He proposed the idea and Ted Abernathy, then head of the City Office of Economic & Employment Development, now heading the 13-state Southern Growth Policies Board based here in Durham, identified the site, a former maintenance facility for transit buses. When the Senator passed away, a couple of folks in Durham picked up the idea and fused it to the future of the public-private adaptive reuse of the Old Lucky Strike Factory, now the namesake for the American Tobacco Historic District where the theater is also located. Duke EVP Tallman Trask – Tallman is first for two reasons. Duke already had a similar theater as part of its plans for Central Campus near Ninth Street. Pulling those plans cleared the way for DPAC. But Duke was also pivotal in the end by closing a critical gap in funding. Former two term Mayor Nick Tennyson – Caught in between City managers and Economic Development directors, Nick was the first person in authority to champion the project. He repeatedly cleared the way and tempered zealots to broker consensus. Then Chair of the Board of County Commissioners, MaryAnn Black – Because the State Delegation required unanimity between the City and County and because ultimately given State approval, the County has taxing authority, MaryAnn, now with DUHS, was pivotal in securing BOCC approval to seek a tax increase prior to the public process. Then Senator Wib Gulley – When proponents sought State authorization of a tax to pay for the theater, prior to vetting the project with the public, Senator Gulley brokered a compromise and ensured due process prior to the Delegation taking it to the General Assembly. Mayor Bill Bell – The Mayor came into office with the project facing significant hurdles and some controversy. He personally moved it through each remaining obstacle and insisted that individuals fulfill promises. Others played important roles including the Tourism Development Authority when asked by legislative committees for affirmation to increase the tax on overnight visitors (paying for 90%+ of the construction debt) but without typically reconforming the other uses of Durham’s occupancy tax to state legislative guidelines. Or Downtown Durham Inc. for doing the lion’s share of lobbying and the architect and director of economic and employment development for creatively overcoming serious obstacles during planning and construction . Or even Nederlander/PFM for partnering on this venture as the operator and booking entity of the theatre ensuring a business model that would work in a public/private partnership. But the five people above, looked beyond the heated and win/lose push and shove of power politics to gently and quietly sheppard the project to fruition. The reality of the DPAC comes down to their commitment, proactivity and approval at pivotal points in its evolution. Wes Brewer was passionate about Durham. After a long career selling books to libraries, he retired and came to DCVB as a volunteer, what we now call WayFinders. On behalf of DCVB and Durham, he staffed registration and hospitality/information desks for big conventions and special or annual events when he wasn’t holding his regular shift in the Durham Visitor Information Center. In his 10+ years at DCVB, Wes would always stop me as I came through the Center and tell me his most recent experience with a visitor or something we should read and address that was inaccurate or defamatory about Durham. Wes died last week after a very sudden illness. He was overtaken by cancer at age 78. It is people like Wes that fill my memories of what is so special about Durham. I’m sure he’s still watching out for his hometown and I expect one way or another he’ll still inspire those of us who do the same. "Thanks very much for sending [DCVB volunteer] Wes [Brewer] to help with registration." "You sent us Wes Brewer, one of your volunteers who greeted our guests, provided them the symposium materials and answered their questions. He was an excellent representative of your office and of Durham. Symposium materials and answered their questions. He was an excellent representative of your office and of Durham. "I would like thank you for the delightful service rendered to our delegates and advisor…by your volunteer, Wes Brewer. His knowledge of the area combined with his delightful personality made him a welcome addition to our "local information area." I became a progressive in the early ‘70’s but my career has always been in economic development so people with polar stereotypes of business and social and economic justice assume I’m all about business. It is like being with a bunch of UNC-CH fans, they can’t fathom you’d be a Duke fan, even if you’re from Durham. It can be obnoxious. My name is on various fundraising lists, so I get calls from one particular national political party, all assuming if I’m involved in building the economy I must be conservative. When I go to meetings around the state, the participants - like UNC fans - can’t believe I don’t share all of their ideological stereotypes. Similarly because I am progressive and because I live in Durham, when I go to certain meetings, some people with those same polar views believe that caring about social injustice means I can’t have pro-business viewpoints. I believe President Obama may be one of the transformational figures that breaks up some of these stereotypes. A legendary hit keeps running through my mind called For What It’s Worth written by Stephen Stills and performed as Buffalo Springfield (including Stills, Neil Young, Richie Furay and Jim Messina who all went on to bigger things). Eye tracking is a tool used since the mid-90’s by the Durham Convention & Visitors Bureau to measure the effectiveness of communication materials like advertisements. It not only measures what works and what doesn’t, but it helps tweak layout and graphics. With the popularity of the Internet as a news source, The Poytner Institute , a school and resource for journalists, uses eye tracking to periodically benchmark the reading habits of online compared to print readers. Online readers actually read more deeply (77%) than print counterparts (62%). Two-thirds of online readers read all of a story they selected compared to 59% for newspapers. Print readers are more likely to be methodical and online are more like to be scanners. But both methodical readers and scanners read about the same amount of text. Online methodical readers read 78% of text vs. 77% for online scanners. Print methodical readers read 67% vs. scanners at 59%. Online view navigation first, print read headlines first most often, followed by a photo, followed by another headline. Print ads adjacent to editorial draw as much as full-page ads. Color ads in print draw twice the attention of black and white. A video summary of the results can be viewed online and a copy of the study purchased online. The Institute is also using eye tracking to determine how readers read news on cell phone or pocket computers. The 1% prepared food tax for cultural and tourism development lost but that isn’t a surprise. Given the state requirement that we run it in a general election (unprecedented and never advisable for local issues) and so little time was permitted for public education, and a sudden economic downturn, not to mention well-funded interference and misinformation from outside sources…. It is miraculous that the measure received 35,000 votes in addition to t he 31 organization endorsements. To put that in perspective, 35,000 votes is as many or more than any measure or politician received in last November’s local election. After 15 years of shaping consensus on this, it seems like just a speed bump. I say on the merits of this incredible showing under daunting odds that we seek another opportunity to do it right. It is only fair. Raleigh and Charlotte were given this resource without even a vote. At the least Durham should get the opportunity to do it in a local election with ample time for public education. I didn’t run into anyone who opposed it, who didn’t change their mind after a few minutes of explanation. Even for those who in good faith opposed it, we need to do more to show them the facts related to regressivity. Fact is, this is simply an opportunity for Durham taxpayers to shift 40% of the cost for cultural, recreational and tourism development to non-residents and free up general funds for more general needs. As far as the restaurant association, they know full well this isn’t unfairly targeting them. They benefit more than any other type of business by the fact that visitor promotion is self funded by a special tax on hotel rooms. They also know that there is clear and public information that their heartburn after helping Raleigh and Charlotte get this resource is due solely to the fact that the legislature reduced sales tax on groceries. I think the association has some good points to make but pushing out a lot of confusing, contradictory and border line hypocritical misinformation whether directly or through Raleigh operatives, puts them down on the same level of the “local politics” they are always rolling their eyes about. Okay, we all know there is some waste in government. But I just don’t get these folks who think the solution is starving it. Or those who think that a smaller or larger government has any correlation to waste reduction. There is waste everywhere including in business and in people’s personal habits. But starving anything just doesn’t seem to me to have ever been a good strategy for change. We don’t motivate employees by denying them the tools to do their job or cutting their benefits. We don’t teach greedy business executives a lesson by refusing to buy their products; we just take away someone else’s job. We don’t teach recycling by prohibiting purchase of consumer products. We don’t motivate children by fear and deprivation. And trying to starve Cuba all these years hasn’t accomplished anything. The way to make government more efficient isn’t to worry about whether it is small or large…it should be large enough to do the job. We need to vote wisely, hold people accountable, hire expert management and let them do their jobs. We need to insist on and reward maintenance of what we have above the latest new and shiny thing. We need to give government the freedom to reassign or even release employees who are not willing to do their jobs and reward those who do a very good job. We need to make sure things are fair. We need to trust. And the private sector needs to stop whining about taxes. Taxes provide the quality of place that helps them attract good talent. It provides clean water and sanitation and provides a regulated and balanced playing field. It shouldn’t be about whether taxes are too high or too low…but whether they are productive. Rather than whining about taxes, run for office, get involved in making the system even better. Why is there no “truth in advertising” law that regulates information elected office or referendums? It seems like anything goes. A journalist friend of mine says there isn’t one for politics and he’s not sure there should be because there is too much gray area. I see his point. But that leaves voters particularly defenseless at a time when the local news media is struggling through some significant business challenges and just doesn’t have the time or resources to commit to investigative reporting. Much of it now seems like a newsletter. People can say anything and there doesn’t even seem to be a follow-up question. The Herald Sun and Independent both wrote very thoughtful editorials endorsing the prepared meals tax last week. On Sunday, the Herald Sun wrote an excellent recap of the pro and con positions on the issue. Those are great for thorough readers. But that isn’t how people take in news now. They are skimmers…more worrisome, many get their news just form headlines and photos. That Herald Sun article for example proclaimed in Dewey Beats Truman size type that people are split over the tax…true if you call nearly 29 groups supporting and two against. Then it features a huge picture of the people objecting…only problem is he doesn’t live or work in Durham and he’s using Raleigh channeled funds to tell Durham voters what to do…and his information is deliberately misleading. But you think anyone would grasp that from the article? The Raleigh paper is worse, often neglecting to mention that Raleigh has had the same tax for 15 years…and also levied it during a recession but without even a referendum…where was this Raleigh group opposing Durham’s tax then? Truth…actually helping it get passed. On national issues we have NPR which has several shows that unwrap the campaign rhetoric and negative ads. They even do a postmortem on comments made in debates. And when one VP candidate was repeating something not in context…they began inserting a clarification anytime it was reported…guess what…the candidate dropped that crap. 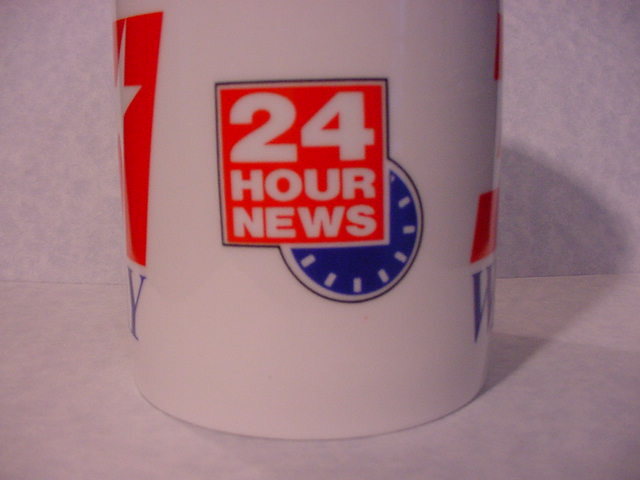 For the most part though, 24-hour news shows on TV are part of the problem…endlessly repeating the same thing…parroting one another and at the same time sucking the life out of other news media. We also have Saturday Night Live and the Jon Steward show attempting with humor to unveil truth…but believe me, where I come from, a lot of people wouldn’t get the point. And I just don’t see why the FTC can’t put the same standard to political advertising and protect voters, the way it protects consumers from business advertising. One of the worst things that has happened to this country in the last 30 years is the demonization of taxation. I grew up with parents and grandparents who were what you might call FDR Republicans. They valued greatly that electricity had been run out to farms and ranches. They realized this had to be done by government. I’m an Independent but from memory, those Republicans in my family seemed much more reasonable when it came to understanding taxation. Harping against taxes and exaggerating claims of waste has had the effect of hoodwinking people into thinking somehow they can have police and fire protection, clean water, sanitary systems, streets and highways, workforce training, parks and recreation, economic development and all the things taxes pay for….but be exempt from paying them. There is waste in government and as we just learned the hard way, just as much waste in the private sector. So work hard to eliminate it. Starving serious community, state and national needs has done nothing to eliminate waste. For that matter, big tax cuts followed by running huge deficits hasn’t worked so well either, has it? I don’t have all the answers but I do know we need to ditch the anti-tax rhetoric and get real. As we near this election, I remember one in the early ‘90’s. A Raleigh businessman had bought the Durham Bull’s and announced he was moving them to Raleigh. Promoters came to my little temporary office over in Brightleaf. At first they told me they were just moving the team out Downtown and out by RTP. RTP is a business park, 4 miles from Downtown Durham and encompassed on three sides by the City of Durham. But Raleigh residents--for obvious reasons--have cultivated references to the Park as being in “in between” Raleigh and Durham, even referring to the “Raleigh” side of the Park. No harm in that? I guess there is a Durham side of the “State Capitol” too? These gentlemen unfolded a document and started pointing to the location. “That’s in Raleigh, isn’t it,” I exclaimed. Now remember, I’d only been here a short time then. No, it is by the airport they explained. But the area they pointed to, while near the jointly owned airport, was definitely and more specifically in another city and county. They had their business reasons for moving the Bulls…despite an NCSU student survey that revealed that out of town residents wouldn’t come to see the Bull’s in another location, these folks were determined a shiny new stadium with lots of parking would be a bigger draw…and besides they would still call the team the Durham Bulls…one big region, right, who cares if the team’s name and its location don’t match. If you buy that just ask NY Giants fans. I learned later, Raleigh was considering assisting the move out of Durham with its new prepared food tax revenues as a resource. Without its own prepared food tax to help with funding, Durham’s response was a referendum to build a new stadium over by the Lucky Strike Factory. The referendum passed in the City but lost narrowly when votes County wide were tallied. All appeared lost but to the rescue came a determined City Council and a threatened law suit if Raleigh tampered with the Bulls. The result, an outstanding new, retro Durham Bulls Athletic Park which in turn launched redevelopment of that whole district. But Durham did something else right during that troubled time. It didn’t tear down the old stadium, the Historic Durham Athletic Park, site of the movie Bull Durham. So different than the new Yankee Stadium which not only succeeds the true Yankee Stadium, but replaces it entirely…Durham saved the DAP. After all, part of the resentment over the attempt to move the Bulls wasn’t just the move to Raleigh but that Durham residents along with the vast majority of all Bulls fans, didn’t want the team to leave the old DAP. Took us a while but now this spring, the DAP will emerge from a major renovation…and become a training lab for Minor League Baseball as well as the home team for the NCCU Eagles. Durham was smart. There was no need to throw out the old with the new. And years from now, when the DBAP is also old…people sill will point to the DAP and say, that’s the real Durham Bulls ballpark. But this isn’t just about nostalgia. Communities that evolve indigenous, almost temporal place based assets are destined to be the survivors as visitor destinations and top places to live while nearly all other settlements will have become clones. Let me second my friend and fellow blogger Bill Geist on “tipping” or the plague of low or no tippers. Coincidentally, at DCVB we’re updating the tipping guidelines used to inform residents and visitors how and when to tip. But it started me wondering, how many parents, how many schools cover tipping when they teach “life skills?” How do people learn to tip and what amount to tip and what a tip represents? Seems to me tipping guidelines should also be clearly posted where it is customary…,e.g. cabs, restaurants, bars, bell stands, night stands, etc. Tipping represents two things. One, it is maybe the first form of performance based incentive or compensation and two, where customary, it is an implied contract between customer and business that a part of the person’s compensation will be tips. As an article on msnbc.com reported, we shouldn’t eliminate a tip altogether for the front line person who may be at the mercy of other employees. If we have a complaint, fill out a complaint form…don’t just stiff someone. So why are people cheap? I wonder if a big piece of it is a combination of ignorance and lack of information. As we watch a new generation of college students and young adults become energized about the political process, it reminds me of what I witnessed in the ‘60’s. 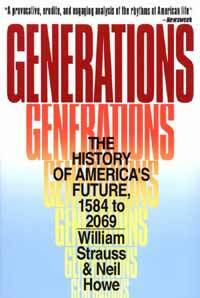 And it brings to mind a great book called Generations; The History of America’s Future 1584-2069 by William Strauss and Neil Howe. First published in 1991, this is proving – 17 years later – to be dead-on accurate as a predictor and reflection of consumer behavior. You can still buy it on Amazon.com. The authors break generations down by “type,” “principal callings,” “personality,” “life phase,” “cycle,” etc., “Boomers,” for example, were born in an “awakening” era, so it is no surprise that in our youth we revered authors like Emerson and Thoreau who were also idealists born in another awakening era. An era lasts about 22 years. But as boomers age, they are going through each of the other eras, e.g., “inner driven,” which began in 1981, “crisis 2003,” and “outer driven,” which will begin about 2025 when the youngest boomers will be about 65. If they live long enough, this latter group will see the beginning of yet another “awakening” era. The parents of most Boomers, like my late Father (GI generation) and Mother (Silent generation), came of age during another “crisis” era, like we’re in now, the Great Depression and World War II. They were “civics” and “reactives” by type, not “idealists” like my generation. But their parents and grandparents were either “idealists,” born during an earlier “awakening” era epitomized by Franklin D. Roosevelt or like my grandparents, “reactives” like Dwight D. Eisenhower. “Millennials,” who were born during the “inner driven” era are now going through the “crisis” era as young adults, while my Mother, now 80, is seeing the beginning of an era like the one in which she came of age, the Great Depression. Even more relevant to consumer behavior and marketing, these eras can be used to look at differences or cycles in the nurturing of children, gender roles, tolerance for risk, individualism vs. community, world view, behavior toward ideals, behavior toward institutions, sense of greatest need and vision of the future. Take my word for it. Be patient. You may need to read and re-read it. And you’ll find this book a remarkable way to understand the past and see into the future. "A SMALL MAN WITH A BAD TOUPEE WHO THINKS HE IS TOM CRUISE"
When I attended a small breakfast on the floor of the breathtaking new terminal at RDU International Airport, I was reminded of the above quote by Garrison Keillor in a 1997 essay in Time Magazine. Durham is obviously very threatening to the latter group. One man took a look at my name tag and told me jovially (but not at all kiddingly) within earshot of many others that once I retire, Durham will finally become a part of Raleigh. Oh boy, is he in for a surprise! My theory is he would ignore Durham if, if, if, if Duke, RTP and many other great assets weren’t based here. But given these assets, a unique cultural identity and rankings among the most desirable in the nation, he can’t ignore Durham. How fitting this insight occurred to me at the airport, whose name is a result of this same insecurity when a Raleigh developer hoodwinked the war department in the ‘40’s into believing Durham was okay with switching the order of the cities in the name of the airport (making it the only airport with its 3-letter code out of alpha order). Hmmm, Keillor is reportedly coming to Durham next May. Maybe he can reprise that essay! I made several attempts as the 60’s ended and ‘70’s began to enlist in the military. I had friends and associates dying in Vietnam. I had blown a knee out in high school and no matter how many times I tried to explain it away, they wouldn’t take me. Ironically, during the same time, I was also turning against the war. And today I see how my outward drive to enlist belied how ambivalent I was inside. Funny thing about my wiring, I can’t stand sitting on a fence, so even when I’m conflicted I’m usually in motion. But wiring is to my point…one of the things I’m looking forward to in my life after destination marketing…at least the part directly managing DMO’s, is writing some long postponed family histories. I love history in general but researching my own background has given me insight into why some things seem in my wiring. People see me stand up for Durham, stand up against unfairness…even sounding much more combative at times than I meant too. People who know me though have always been able to sense the empathy that belies my more outward indefatigability (Bob Ashley’s term but I like it) in the face of issues. I’ve never been anywhere near combat or served in the military. Nor was I exposed to it a lot growing up. But I must admit I find it throughout my background. My Father was in Europe in World War II and has all kinds of photos including some from the Dachau concentration camp in Germany. He wouldn’t talk about his time in Europe…only about how hard he worked to get home as soon as possible at the end of the War. Now that he’s gone I have a display case of all of his memorabilia. I keep it in honor of him but also because these items remind me of growing up and the sense of intrigue and “awe “ that came from going through these things…sometimes when my parents weren’t home along with how much I love and miss him. I think he was down-low about a lot of stuff because he saw me play too much “cowboys and Indians” or “Blue and the Gray” and didn’t want to make it too real. And maybe because his best friend (the father of my best friend) had fought in both WWII and Korea and been a prisoner of war in both…although the latter was the subject of a lot of kidding between the two. Maybe it was because my middle namesake uncle (really his cousin) and closest friend growing up was killed when the B-26 in which he was a tail gunner was shot down while bombing the Nervesa Causeway in Northeastern Italy while flying out of Corsica in 1944. A kind farmer buried the crew in his orchard, with their dog tags over each cross. At the end of the war my family had his body shipped home and reinterred on the ranch in a small family cemetery. I visited that cemetery often. It was where I could make friends as a boy with four generations. I stay in touch with that hallowed ground via Google Earth even today. The closest thing I had to a Brother was my uncle, 6 years my senior. He flew 300+ missions over North Vietnam as a decorated F4-C jet fighter pilot. A couple of years after he got home from two tours, he was killed in the line of duty working for what was then the DEA flying surveillance on the Dominguez drug family in Mexico. We spent a lot of time together before and after his time in Vietnam but we didn’t discuss that stuff…he knew my feelings about that war and I didn’t want him to feel any more pain than he did. He knew how proud of him I was, and still am. I was my Grandfather’s (his Father’s) “fortunate son” as the song goes, but while my uncle never could truly feel my Grandfather’s pride in him, I could. I don’t glory in what these people did nor was all of it admirable. But they did what they thought was their duty and I do admire that. They were obviously much tougher than I am. But maybe, just maybe, some of that DNA is what makes me, in the words of columnist Bob Ashley, “indefatigable” in defense and promotion of Durham. Knowing this background, and even though I don’t believe the war in Iraq was necessary and in fact counterproductive to its alleged purpose, I’m even more convinced it is a travesty that no matter the good intentions…no matter how hard we try…this country never does justice in healthcare or any other way to the people who have, and continue to defend us. Many restaurants not only support the prepared meals tax, they helped shape it, rolling up their sleeves to give constructive input on the uses. Chefs like Scott Howell and Wilma Dillard are even honorary co-chairs. The majority of Durham restaurateurs realize it is a tax on consumption, added after the bill, not a tax on restaurants. They believe Durham voters should make up their minds without interference. The objections; however, of a the Raleigh-based state restaurant association is a reminder of those raised by a hotel chain or two when room occupancies taxes were introduced in the ’60’s and ‘70’s as a more fair and effective way to self-fund visitor promotion (vs. memberships paid only by a few cobbled together with grants). “This isn’t fair. Why are we being singled out, etc?” But the occupancy tax, where modest and used as intended, has been the biggest boon to attracting visitor commerce of any development in the last 50 years. But the downside is the burden is born entirely by the 1 in 4 of all visitors who stay overnight in commercial lodging. The inherent inequity in the occupancy tax-only formula is that in Durham, for example, restaurants harvest 26 cents out of every dollar of visitor commerce, compared to 21% by lodging properties. I hear the restaurant associations, both national and state herald how important visitor commerce is now to restaurants (40% of fine dining, 20-25% of family or casual dining, and 15-20% of quickservice), but object to permitting their customers to help self-fund the costs of destination marketing and development. I don’t see that logic. They herald what comes their way as the fruits of a special tax on lodging customers, but then strenuously object to being “singled out” as they put it, when asked to pitch in? It seems that rather than playing the victim, many Durham restaurants are taking a better route, believing it is now time for restaurants to permit their customers (both day-trip and overnight) to help in the process of, not only drawing visitors, but developing and maintaining Durham as a destination. After all, this isn’t a tax on the businesses, though these businesses stand to greatly benefit. One particular vocal opponent is handing customers a flyer complaining about fuel costs and that the penny on the dollar meals levy will be a burden. But he isn’t going to pay it. It doesn’t come off his bottom line. The proposed prepared meals tax is on consumption, and added after the bill. So the “Woe is me,” sentiment raised by the state association just doesn’t resonate. Restaurants complain when customers don’t tip…why are they objecting to their customers freedom to vote yes on a tip to improve Durham. The reason occupancy taxes have worked so well (where used appropriately) is they took the old membership model, where a very few paid but everyone benefited, and made it much more democratic and effective. All the penny on the dollar prepared meals tax does is ask another group of direct beneficiaries to do the same in a very manageable, democratic way. What’s even more puzzling about all of this is the state restaurant association itself helped pioneer the prepared meals tax in North Carolina during the last recession, delivering it on a silver platter to the state’s largest two cities and counties and scores of towns, including their home base Raleigh…and without any kind of referendum. Then, as a 1999 email I have from the association tells it, some members got in a snit because the legislature repealed the tax on groceries. You see, those in the snit seriously confuse grocery stores and restaurants as competition. Huh? I may have missed a class or two during economics 101, but groceries fall under necessities and dining out falls under leisure activities. Restaurants don’t compete with grocery stores, they compete with other leisure choices. To make things appear very hypocritical, while the association vehemently objects to Durham residents getting a clear and unfettered choice at the polls, it has turned a blind eye when convenient to requests of a powerful legislator or two when Fayetteville and the Outer Banks received the tax with no referendum required. So if it works where the association pioneered it and it works when convenient, why be so adamant and hostile when a community like Durham wants to let voters decide, unfettered by outside interference on a proposal that is far more well thought out and to the industry’s benefit than any it has approved in the past? The state restaurant folks are good people, but this sure seems like a big double standards. It is time for restaurants, as many Durham restaurant owners already believe, to be at the table…not just to harvest visitor commerce, but to let their customers, 40% of whom in Durham are visitors and non-resident commuters, shoulder some of the burden of developing and maintaining Durham as a visitor destination. Usually the private industry points to elected officials as unreasonable. But in Durham’s proposed meals tax, elected officials have worked hand in hand with the Tourism Development Authority and other stakeholders including restaurateurs on a proposal that makes more sense than any prepared meals tax I’ve read about…dedicated uses that benefit restaurants and diners…, e.g., cleanup and beautification (food wrappers make up 20% of the litter stream), workforce training, visitor promotion, and building and upkeep of cultural, civic, and recreational projects like theaters, museums, etc. Judging from news reports, the restaurant association dismisses these as “pet” projects. But this is the same group that supported this same tax in the state’s two largest communities and counties to pay for convention centers, a narrow type of visitor business that is proportionately far less beneficial to restaurants, than the types promoted by Durham’s uses. After 50 years of seeing how well the special tax on overnight hotel guests works, you’d think the restaurant industry would more easily grasp how permitting their customers to play a part in visitor commerce would be a snap. For now though, the association is taking the same “no and hell no” approach taken by early occupancy tax opponents, but it is only a matter of time. When the day comes though, and it will come, hopefully they get a deal with a fraction of the benefits in the Durham referendum. I’m incensed that Raleigh interests are meddling in Durham’s consideration of a proposed prepared food tax. Without questioning their motives, as Durham voters we just don’t need them to tell us how to vote. Raleigh has had this tax since ’92. For a Raleigh resident to form and fund an organization called Durham Citizens Against The Food Tax seems insidious no matter who is “strapped to the front bumper.” While they have picked up the issue of regressivity, long disproven, there are still legitimate viewpoints on all sides. But Durham voters are perfectly able to sort through a full discussion of the issues without outsiders meddling and fogging the issues. The discussion at the People’s Alliance resulting in that organization’s endorsement of the referendum is an excellent example of Durham’s ability for passionate, intelligent debate. But this Raleigh based so-called “Durham Citizens” group is betting that the news media will never have the resources to dig down and reveal it for what it is…or that even if it does, Durham voters will be so confused they will vote based on a smokescreen. It reminds me of when Raleigh interests tried to steal the Bulls and move them to Raleigh (ironically intending to use Wake County’s meals tax which never did have voter approval). Significant Raleigh resources were deployed to help narrowly defeat a Durham bond issue to build a new stadium. This type of interference from outside the community, especially from neighbors who are part of the Triangle family is arrogant, condescending and an insult to Durham residents. Why shouldn’t Durham residents have the right to consider asking Raleigh residents working in Durham (3 out of 5 jobs are held by non-resident commuters) to shoulder a tax Raleigh has asked us to pay for the last 15 years when we dine out there. Back off Raleigh. Last time I checked you don’t get to vote here. On occasion I get asked how I found my career, specifically, how I found something in which I could work my entire life so far. The truth is, I backed into it. As an undergraduate student at Brigham Young University, I got a part-time job inventorying the physical plant or all of the buildings on campus. I hated it for reasons I don’t recall. Lesson learned: It taught me the importance of conducting an inventory and I’ve incorporated that basic step throughout my career in destination or community marketing. It also taught me how an engineer’s mind works. I don’t remember how but in a few weeks, I landed in the Office of Tours and Conferences. In those days, the two summer school sessions weren’t enough to keep people employed in departments responsible for “housing” and “foodservice” so our office promoted and facilitated scores of week-long “youth” conferences. Big perk – supervising the President’s box at football games. Lessons learned: Event coordination and facilitation, business travel, inter-agency politics, branding and development of marketing tools and my first real life experiences at management. When I graduated, I made my way to law school but I was married and had a baby daughter so I needed a full time job so I could go to school at night. I landed in a chamber of commerce department that had been dormant for years and unbeknownst to me at the time had its own board of directors. As I came on board during its resurrection, it was separating to become an independent organization as all but 3% of DMO’s are today. Lessons learned: Community marketing, my first big missteps in management, rough house and very personal politics…and that unless I could be on the Supreme Court, I didn’t much like the study or practice of law and personally, the personal loss inherent in some career decisions. Big lesson: That this work, community marketing, is important, exciting, challenging and that I was good at it. So when I say I need to detox before I decide what to do next, I mean two things. One, obviously after nearly 40 years, destination marketing is a passion and somewhat addictive and I need to clear my head and two, I might just back into what I do in the next phase of my life. Culinary arts are already a key part of why Durham is distinct. Restaurant jobs are growing at three times overall the rate of all jobs nationwide. Restaurants will add 2 million new jobs by 2018. Demand for chefs and head cooks will increase by 16% over 10 years. Restaurants account for 1 in 5 jobs added to the economy annual. Foodservice managers will increase 11% in the next 10 years. So it is great that a portion of the proposed prepared food tax on the referendum will go to hospitality workforce training if it passes in November. Things like the award winning Durham Careers In Hospitality program in Durham Public Schools and NCCU’s newly accredited Hospitality Degree Program are already up and prepared to expand. Restaurants will need to be competitive for labor because the labor pool coming of age will shrink by 7%. Religions often claim to be the one true church or faith. Any one of them might be right for all I know but they can’t all be right and the notion is genius. It has the effect of locking people into an “all or nothing” perspective. While I have a deep personal faith, for 30 years now, I haven’t overtly practiced formal or structured religion like the one in which I was raised. But deep down, major parts of that belief system is still a part of me. I was also Republican when I grew up because my Mother and Father were…until I learned that in my past there had been Republicans who leaned toward FDR and Democrats who admired Dwight D. Eisenhower (not only as President but a great Grandfather figure growing up) and that I could pick and choose parts of both or be an Independent. Political action committees, political parties, nationalism, regionalism, “being true to your school“, etc. can also have the effect of being the “one true church.” Meaning, they seem like tribal affiliations that help a lot of people make quick, all or nothing decisions…like straight ticket voting. Very efficient when you think about it. But they seem to breed ideologues, who put being consistent above thinking. And that’s where it breaks down for me…when people start to think “all or nothing.” Either you buy into every precept of the group or you don’t and then you’re unfaithful. So that if one precept is challenged, it has the effect of challenging an entire belief system. This leads people or forces them to choose between a right to hunt or banning assault weapons or handguns in certain jurisdictions where they are a big problem and hunting isn’t the issue at all. It forces people to choose between right to life and quality of life. Or to believe a 1 cent tax on prepared meals is regressive so if you are for it, you must not care about social and economic justice. These belief systems worry me when they become controlling…when you’re either on my team or you’re not…when they chill debate and critical thinking vs. serve as a context to ask questions. DCVB doesn’t have an annual meeting per se. Instead, we produce the Durham Annual Tribute Luncheon. The next one, April 29th, will be unique because it will be held on the stage of the new Durham Performing Arts Center. Each year the ATL honors individuals or groups that significantly contribute to shaping Durham’s unique brand and sense of place. Watching the ceremonies and game commentary surrounding the last game in Yankee Stadium revealed just how important sense of place is. Until yesterday I didn’t realize Yankee Stadium was built the year after my Father was born (he passed away in 2001, just a few weeks after 9/11.) It felt like a part of him died all over again. I’m sure the replica across the street in the Bronx will be a sight to see. And it will earn its owners more millions from fancy skyboxes, etc. But to the majority of fans, current and former players and managers and sports broadcasters, it will never replace what will disappear when the real Yankee Stadium is torn down girder by girder. Not everything old is valuable. But unfortunately the profit motive rarely makes a distinction until it is too late or unless significant historic tax credits can be leveraged. I stopped by the Waffle House down near Fayetteville Road and NC 54 on Sunday. I was in that area on an errand. I sat at the counter. It is a joy to watch a team committed to customer service. Every person working that morning shift was energized, welcoming, engaging and spirited. They were talking politely to one another as they called orders. Pouring coffee for people who were waiting for a table, joking and laughing and enjoying their work without skipping a beat. Everyone there at one time or another made eye contact and without being intrusive, radiated a joy for people and their work. Food was good too. You can build big buildings, grand plazas and cathedrals but in the end impressions created by bricks and mortar don’t last. Genuine customer service does. Anecdotal horror stories like that drive a person like me nuts, especially when they don’t understand why that is a horrible way to inform marketing strategies. It led us years ago to ask, exactly how many associates have a negative image of Durham or is it just a virulent few? How did they come by those impressions? How representative are they of the population as a whole? I’m told that when DCVB initiated periodic national surveys in 1995 to benchmark Durham’s image, it was the first to do so. I don’t know about that. Seems a very obvious approach to me. Why jump around based on what may be a very few opinions when you can easily just ask a generalizable part of the entire nation. Nationwide, by a margin of 9 to 1, adults have a positive image of Durham overall. Just 3% are negative, which is only one point higher than communities in North Carolina with the best image overall and half that of most others. Nearly half of those who are aware of Durham are positive about Durham, including 15% who are very positive. Since polling and marketing began, awareness of Durham has been increased by 25%, negatives reduced by 2/3rds and the positive to negative ratio has tripled. At a ratio of 16 to 1, Durham’s image nationwide is highest as a place with many cultural, educational and entertainment features, up nearly 8 fold since 1995. At 14 to 1, Durham’s image as a place with new business and growth potential is second highest, up almost 5 times. There is still plenty of work to do, though. Awareness still needs to be created for about 4 out of 10 while insulating them from confusing things like 1) misattribution of Durham assets to other communities like Raleigh, 2) inferences that Durham is a suburb of Raleigh caused by misuse or misunderstanding of the airport name and 3) the undercurrent of negativity fueled by 10-12% of adults living in nearby communities. Oh, and most of all, Durham faces the same persistent stereotypes of the South (think of the movie Deliverance) that are faced by nearly all communities in this diverse and varied part of the country. A comment from a friend often crosses my mind. His mother had visited him from Indiana in a great neighborhood where he lived for a time in Portland, OR. It was one of those places you see at the bottom corner of a historic building with a long bar on one side and rows of tables down the window sides. After a wonderful brunch, as he signed the check, his mom leaned back and said “this is good but it isn’t Bob Evans.” I enjoy a breakfast at Bob Evans here in Durham regularly but her comment always reminds me that there are people who travel great distances not to do something unique but to do something they do at home or maybe anywhere for that matter. The vast majority of travelers however are looking for something unique. Not as Richard Florida writes, “world-class” but something indigenous and almost temporal to the destination community they are visiting. It may be a performing artist they could see anywhere but it is in a uniquely Durham surrounding. Kind of like the Durham Bulls. Not the only baseball team or MiLB baseball team, not “Bob Evans” but uniquely Durham. As we get ready to open the spectacular, new Durham Performing Arts Center and join several hundred cities where shows tour after succeeding in the "Big Apple"…we can’t forget how crucial it is to work even harder to sustain other Durham theaters unique to Durham’s “quality of place,” like The Carolina, St. Joseph’s, Man Bites Dog, Baldwin, Common Ground, Page, PSI to name just a handful. 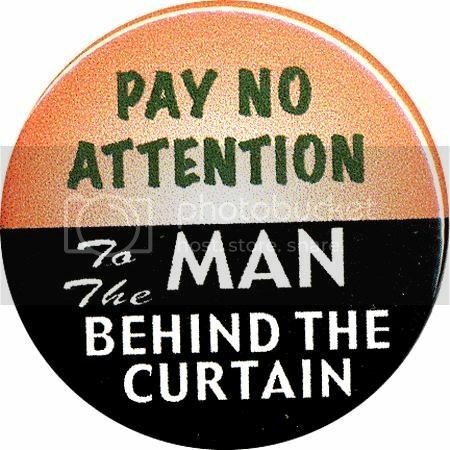 For several years, after DPAC's opening we must remember how much harder it will be for each of them to draw sponsorhips, media attention, audience, volunteers and other resources. In pursuit of the 11% of overnight travelers attending conventions and meetings, cities have added 40 million square feet of new convention center space; more than 22 million in the last 10 years alone, with another 8 million in the pipeline by the end of the decade. What many affectionately call a “space race” to keep up with other cities, the massive increase in supply, has created intense competition for a segment growing 2.5% growth annually but falling as a proportion of overall travel. To many, the race is responsible for perpetuating low occupancies and expensive concessions to draw groups. Groups that measure convention center expansions believe the two decade building explosion may be coming to an end; particularly signaling the end of the mega-centers of 500,000 square feet plus. Project currently in the pipeline average less than 170,000 square feet. Trade Show Weekly speculates that the trend is moving from major convention centers to hotels with convention space, or to smaller more specialized, centers with emphasis on technology, especially in second and third tier cities like all but one in North Carolina. Durham already exceeds its fair share of conventions and meetings (15% vs. 11%) following a trend termed “going with a small lineup”, to use a basketball metaphor. And just as in basketball, the small lineup can work because 1) the average convention registration is just less than 1,500 with overall attendance just over 2,000, 2) 23% meet in the Southeast on any given year and 3) 24% use convention centers. So while communities with mega-facilities battle it out over a smaller slice of the pie, communities like Durham meet or exceed fair share with a small lineup by hosting an average of 5,000 conventions and meetings a year or 400 a month. It really depends on the community’s goals and aspirations. Durham seeks 1) a balance of leisure and business and 2) to meet or exceed fair market share in each segment; meaning to draw a proportion of travelers in each segment equal to the national average for that type of travel. But Durham is also making improvements to its boutique convention center with more planned, combined with 8--soon to be 10--major convention hotels. Soon Durham will offer three clusters. Two around core meeting facilities with 500 to 1,000 guest rooms respectively in a 2 to 4 block walking distance. To planners, logistics is more important than raw capacity. It doesn’t hurt to have great assets to leverage. RTP, Duke, NCCU, and a very strong activist community are assets to Durham in drawing conventions. I’d trade that for any mega convention center in any other city. In my experience, it is service and the inherent cultural identity of a city that wins the day. We have a dilemma in our community. On the upside, we have more signature festivals and events than communities much larger. We’re also fortunate they have earned national reputations and leverage the Durham brand. There are some members of our community though, who are intrigued with securing more and more events. I don’t think it is that they don’t value the events we have. They just don’t realize how fragile festivals are. You see, festivals compete. Not with one another as much as they compete for time slots, underwriting and sponsorship, volunteers, locations, media attention and audience with all of the other leisure options both residents and visitors have here. What Durham needs to do is worry more about how to make existing festivals and events sustainable, not recruiting new ones. A lot of communities have generic events…or events so ubiquitous that they don’t add to a community’s distinctiveness. My opinion and the opinion of the Durham Convention & Visitors Bureau is that as a community we need to focus on retaining and making our existing events better as well as protecting them as much as possible from the events from the United States of Generica. Maps like this are why so many people are confused about the location of Research Triangle Park. This world class business park for research and development is located 4 miles from Downtown Durham, nestled in SE Durham County and encompassed on three sides by the City of Durham. Yet this map places it only in the Southeastern United States. Durham isn’t even on the map but Raleigh, two towns away from RTP, is shown, giving the impression the Park is in Raleigh. It isn’t one of those things like they only had room for the large cities. Winston-Salem, a city smaller than Durham in the last census is on the map, but not Durham. A hundred years ago, two African American gentleman with differing viewpoints spawned two different movements to achieve racial equality. They were both frequent visitors to Durham. The two leaders, of course, were Booker T. Washington and W.E.B. Dubois. One argued for equality through economic development and the other through social change. From reports at the time, it seemed they didn’t always get along and people seemed to take sides on the issues. But one thing was clear: there was a tolerance of ideas, debate and public discourse evident then. In Durham, at the dawn of the 1900’s a group of African American leaders appear to have fused a both/and approach adapting parts of both movements. It was then that Black Wall Street was spawned, the Sit-In Movement took root in the basements of Durham churches, and organizations like the Durham Committee on the Affairs of Black People were formed. Sometimes it is hard to tell if that same tolerance for ideas or fusion of ideas still exists across the United States. I remember the puzzling and seemingly intolerant reaction to Dr. Shelby Steele’s The Content of Our Character and his more recent book, White Guilt. And similarly to Bill Cosby’s 2005 speech at Howard University. I’m now reading a new book recommended by friend and colleague Bill Geist, written by one of his former Board members, Dr. John Yancy Odom. It is very insightful and full of useful ideas that I’ll leave for you to read for yourself. But I wonder if his Saving Black America; An Economic Plan for Civil Rights will receive the same response as Dr. Steele’s books or if the inspiration of Presidential Candidate Barack Obama will lead us back to the positive and open debate about racial equality that Washington and Dubois had. When Tom Bonfield (new Durham City Manager) and I got a chance for extended conversation during his first week on the job, we touched on something I’ve mentioned before. I got the impression he agreed and will take it into consideration. Currently, when local government annually reports the performance of a cultural facility or event, a very narrow definition of cost and revenue is reported. Even though these quality of life facilities were never intended to pay for themselves, it minimized their impact to not show revenue leveraged by more than the revenues generated inside the facility. When local government invests in a public/private venture like adaptive reuse of the huge American Tobacco Complex, it takes a what appears to be a much better approach and compares not only revenue specific to the three parking decks or the Ballpark or soon the new theater but also the spending and property taxes leveraged by AT C’s increased value and those investments, public and private. To me, it has makes sense to treat cultural facilities the same way. The sales tax alone generated by visitor spending surrounding use of the Civic Center or Museum of Life or Science or Carolina Theater or Full Frame Documentary Film Festival, is far greater than what is spent just inside the facility or event. Not to mention the increase they spur in surrounding property values. When DCVB analyzes these facilities, the full impact of the facility on generating tax revenues is applied, not just the revenue generated at the door. We hope we can work with City and County officials to apply a consistent standard. DCVB has Global Insight periodically quantify the impact of visitors on Durham. In July a panel at a conference discussed an article in the Journal of Travel Research entitled, "Economic Impact Studies; Instruments for Policitical Shenanigans." Assessing return on investment (ROI) from tourism promotion and infrastructure investment. Monitoring and benchmarking performance vs. destination competitors. Setting priorities for economic development and infrastructure. Determining whether concession or sponsorship requests for events/attractions/meetings are worth it. Informing public policy decisions including those involving tax burdens. Informing and reporting to residents and other stakeholders. Is the community spending enough on both tourism promotion and infrastructure and do revenues generated cover costs? Which are best economic development targets and are concessions worth it? What is the ROI on public tourism capital investment and government support? How can we benchmark against destination competitors? How is the full value of tourism communicated to policy makers, businesses and residents? Including resident spending in the impact. A sponsor that shops for a study that will confirm what they want to hear. Multipliers being used without netting out leakage. Vendors who never tell communities what they don’t want to hear. Communities or developers that hide studies supporting the other side of the story.